Dr. Call Dental Center is a Dalton based family dentist practice that treats patients of all ages. We are committed to delivering the highest quality dental care and do so using state-of-the-art dental equipment. We are a cosmetic dentist that offers services like checkups, teeth cleaning, crowns, veneers and more. We also perform emergency dentist services that include bonding, root canals, crowns, and bridges. As a local dentist, we create lifelong relationships with our patients and their families and work to ensure that they receive treatments in a comfortable and relaxed environment. Dilmar Callejas DMD and our staff invite you to schedule an appointment by calling 706-425-6240 and experience why our patients think Dr. Call Dental Center is the best dentist in Dalton. Dr. Dilmar Callejas has been a member of your community for a great part of his life. While living in Dalton, he finished his bachelor’s in Biological Science and minored in Bible studies at Lee University. He values ethics and community responsibility. He graduated from The Medical College of Georgia (Regents University) School of Dentistry in Augusta, GA. Before graduation, he was given the opportunity to serve many communities to better understand the needs of all his future patients. Dr. Callejas enjoys serving the Northwest Georgia community. He set forth a mission to provide his community with what is known as the future of dentistry. He is proud to announce the multiple services offered at his office. Long gone are the days of scheduling referrals to different offices to meet a patient’s comprehensive dental treatment needs. He is proficient in highly technological treatments such as dental implants, implant supported full-arch bridges, wisdom teeth extractions, root canals, individual implants, braces and cosmetic whitening; among the vast scope of all family dentistry treatments. Dr. Callejas understands the struggles of today’s families whose time and schedule run very busy. His goal is to offer you, the smile of your dreams and to do it all in one office. 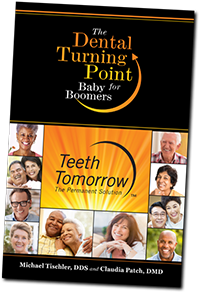 Dentistry is an ever-changing field with new constant technology emerging. Today’s dentists need to be able to evolve in order to provide excellent dental care. Dr. Callejas at the request of many patients has completed countless continuing education courses to bring the latest in technology to you and your family. If you’re running around dealing with multiple dental offices wondering why you can’t have it all done in one place, then eliminate that unnecessary stress from your life and call Dr. Callejas. Your entire family can schedule for all their dental needs with one phone call. Please take the stress out scheduling your dental appointments by knowing that you will always be treated like family under the caring supervision of Dr. Callejas. He and his cordial staff welcome you to experience the future of dentistry at his office today.